"Such huge amounts of data are both a blessing and a curse," says Prof. Dr. Alexander Reiterer, who heads the project at the Fraunhofer IPM. "We need as many details as possible. At the same time, the whole endeavour is only efficient if you can avoid laboriously combing through the data to find the information you need. For the planning process to be efficient the evaluation of these enormous amounts of data must be automated." Fraunhofer IPM has developed software that automatically recognizes, localizes and classifies relevant objects in the measurement data. 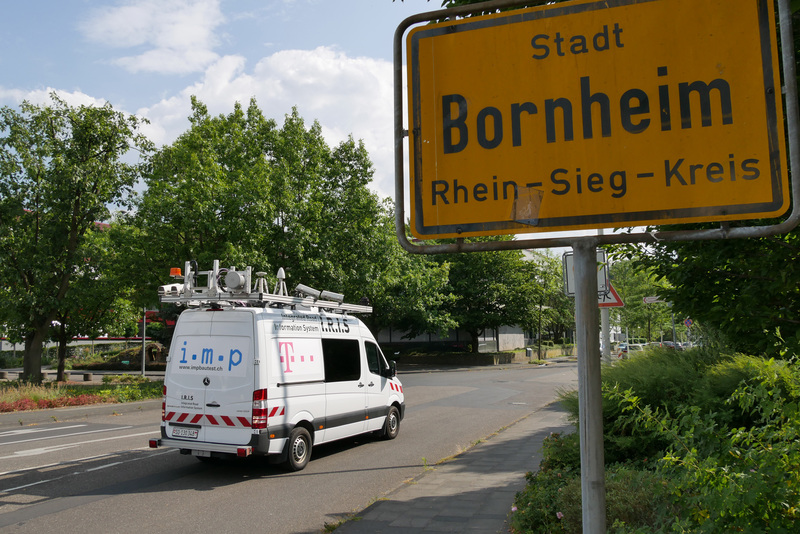 Additional information: Deutsche Telekom's broadband roll-out Deutsche Telekom invests around five billion euros per year. Running to over 460,000 kilometers, the company operates the most extensive fiber optic network in Europe. Broadband build-out is at the top of the company's agenda; in 2017, Deutsche Telekom installed some 40,000 kilometers of optical fiber. In 2018, this figure will increase to 60,000 kilometers, increasing Deutsche Telekom's fiber-optic network to more than 500,000 kilometers. The Fraunhofer Institute for Physical Measurement Techniques IPM develops customized measurement techniques and systems for industry. It specializes in optical measuring systems for mobile 3D acquisition of the geometry and position of objects. The institute designs and builds laser scanners, lighting units and camera systems for use on trains or vehicles. Evaluating measurement data efficiently is of ever greater importance. Given this, its work increasingly focuses on the development of data interpretation software. Fraunhofer IPM develops machine learning algorithms and implements them through the concept of deep learning.